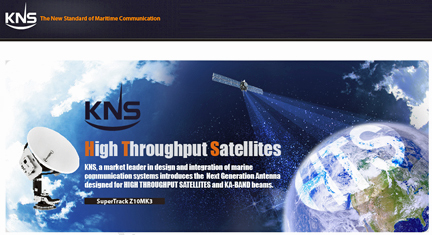 [SatNews] KNS, Inc. has launched its satellite antenna Z18MK3, Ku- and C-band, to provide advanced communications for ships requiring broadband speeds at sea with exceptional reliability and durability. “The Z18MK3 is a great addition to the SuperTrack Z Series antenna family”, says Noah Chung, Director of KNS, Inc. “Our Z18MK3 is one of the most reliable and rugged antennas on the market, capable of extreme weather conditions with unlimited azimuth input to provide uninterrupted high quality connections, even when a ship turns”. The Z18 MK3 C-Band runs on TX: 5.85GHz~ 6.425GHz and RX: 3.625 ~ 4.2GHz frequency gain and the antenna gain for TX: 39.3 dBi @ mid Frequency band and for Rx: 35.3 dBi @ mid frequency band. 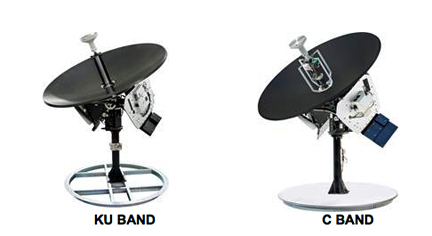 The Z18 MK3 KU- Band runs on TX: 13.75 ~ 14.5GHz and RX 10.75 ~ 12.75GHz and the antenna gain for TX: 46.6 dBi @ 14.2GHz and for RX: 44.8 dBi @ 11.7GHz. The Z18 comes standard with an automatic satellite search and skew control, unlimited Azimuth, uninterrupted searching to keep you in business regardless of where your ship turns, a brake system, free cable wrap and an accurate signal acquisition by KNS’s distinctive algorithm. Customers have access to our pre-programmed satellite database, an editable 80 satellite data, three types of gyro input: NMEA, Synchro and step by step, and an antenna control unit. As is the case for all hardware from the SuperTrack Series, KNS provides a two year warranty for parts and one year on-board warranty.